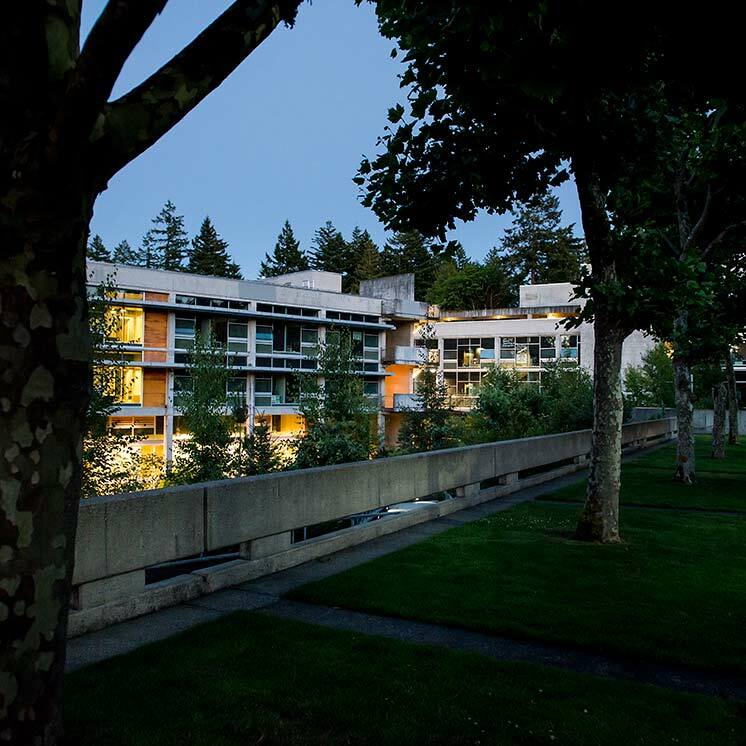 The Evergreen State College will not tolerate violent or threatening behavior directed at students, faculty, staff, visitors, oneself or property. This includes any acts of violence, harassment or threats made on Evergreen property, or at Evergreen sponsored events; and refers to acts or threats of violence made directly or indirectly, by words or gestures or symbols. Property crimes that would reasonably be anticipated to have the effect of intimidating or causing fear of harm. Employees and visitors may not possess, carry, or store firearms, edged weapons, blunt force weapons or explosives or dangerous chemicals on college property, to include privately owned vehicles parked on college property. These items are also prohibited at college events and functions, which take place off campus. This restriction shall not apply to weapons carried by police officers in the performance of their duties. It shall also not apply to tools that are used by employees in the performance of their assigned work duties, or otherwise legal items such as a small penknife or pocketknife carried or possessed without the intent of injuring, threatening or intimidating others. As stated in the policy, violators of the policy who are employees or students are subject to disciplinary action, in accordance with college policies, up to and including termination, suspension or expulsion and may also be subject to arrest and/or prosecution. If this policy is violated by a member of the general public, the college may bar that individual from the campus, may terminate any business relationship it may have with the individual (or the company they represent) and further prosecute the individual the extent the law permits. If there is a direct threat of harm to a person or property employees and students are instructed to notify Evergreen Police (x6140 or x9911) immediately. Once the situation has been resolved by the attending authorities, Police Services will notify the Vice President of Student Affairs and the Associate Vice President of Human Resource Services (or their designee), at the earliest time possible. In non-emergency situation (defined as a situation where it dies not appear that a physical altercation will take place, at that moment) all employees are responsible for notifying their immediate supervisor of any threats (either physical or verbal) they have witnessed, received or been told that another person has witnessed or received. The immediate supervisor will promptly notify Police Service and Human Resources who will conduct a full and prompt investigation of the alleged incident and take action in accordance with appropriate laws, college policy, rules and regulations. An employee against whom a complaint has been made may be suspended pending the outcome of an investigation. Resident students should notify their resident assistant or resident director of any threats experiences or witnessed. Non-resident students are directed to contact Police Services. The Vice President of Student Affairs (or designee) will investigate the allegations and determine the appropriate course of action. (The Student Handbook contains the details of this process). The college will designate a representative to follow-up, as appropriate, with victims and any other affect staff and students. Police Services and Human Resources, in conjunction with other departments, as dictated by the circumstance, will conduct an investigation into the matter and issue a finding of facts to the appropriate official of the college. Corrective actions and/or discipline will be determined once the investigation is completed based, in part, on the specific facts of the case, applicable laws, college policies and any collective bargaining agreements which may be in place. Under the terms and conditions of this policy, students and employees are required to cooperate fully in the investigations of alleged incidents of violations to this policy. In the case of employees, failure to do so may result in corrective action and/or disciplinary action up to and including termination. All investigation will be handled in as discreet and confidential manner as possible, with release of information on a need to know basis only. No person shall be adversely affected in employment or status as a student as a result of bring complaints, in good faith, under this policy Retaliation against anyone who files a complaint will not be tolerated, is expressly forbidden and will result in disciplinary action, up to and including termination or expulsion. Students are required to cooperate in the investigation of reported incidents of threats of violence by the terms and conditions contained in the student conduct code. Failure to do so may constitute a violation of the Student Code of Conduct provision against disrupting college functions. Investigations will be conducted in a discrete and confidential manner and no student will suffer retaliation for allegations made in good faith. Deliberately filing false or misleading report of violence or threatened violence will be handled as incidents of unacceptable personal conduct and any employee or student making false or intentionally inaccurate reports will be subject to disciplinary action, up to and including termination or suspension or expulsion. The collge will maintain permanent records of all reported and investigated incidents of violence as defined in the policy. Depending ont he specific facts of the circumstances, permanent records may be kept in Human Resources, Police Services, or the Vice President of Student Affairs Office. The Vice President of Student Affairs and the Associate Vice President for Human Resources will periodically report to the Board of Trustees on the operation of this policy and on incidence of workplace violence. The college will provide training for supervisors, employees and students on recognizing and preventing campus violence and the conditions which could lead to violence. Nothing in this policy or its accompanying procedures shall alter any other reporting obligation established in other college policy or by federal, state or other applicable law.